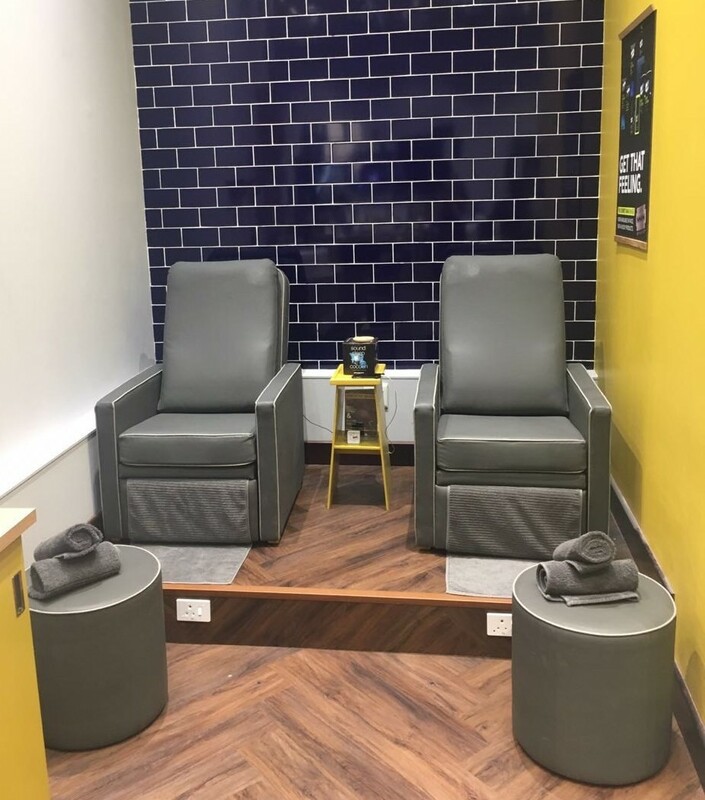 I’d hear a lot about Sorbet Man and the male treatments on offer, so decided to visit the new Gateway store whilst on my lunch break; I was keen to try out a treatment or two. So, I headed across to the Sorbet Man Gateway branch (across from CNA) where I was warmly greeted by the front of house staff and Lungi, my therapist. First up was the Sole-Man Pedicure Power. Lungi filled a tub with all the good stuff for my feet to soak up as I took my shoes off. Now, I should let you know that I have a fear of other people cutting my nails, so this was always going to be a challenge for me but I wasn’t going to let anyone know. I looked away and let Lungi do her thing, I was terrified to begin with, but it soon became clear that I was dealing with a pro and my fear calmed to a mild panic. After being cut, my nails were shaped/filed and my cuticles were removed. I was ready for smooth heels and the foot filing began. The scrub was a highlight for me, it felt like a mini massage. Next was a nail buff and touch ups (nail buffing is polishing nails using buffers to make them look more consistent and shiny) – fancy. Then there was the foot massage – amazing! 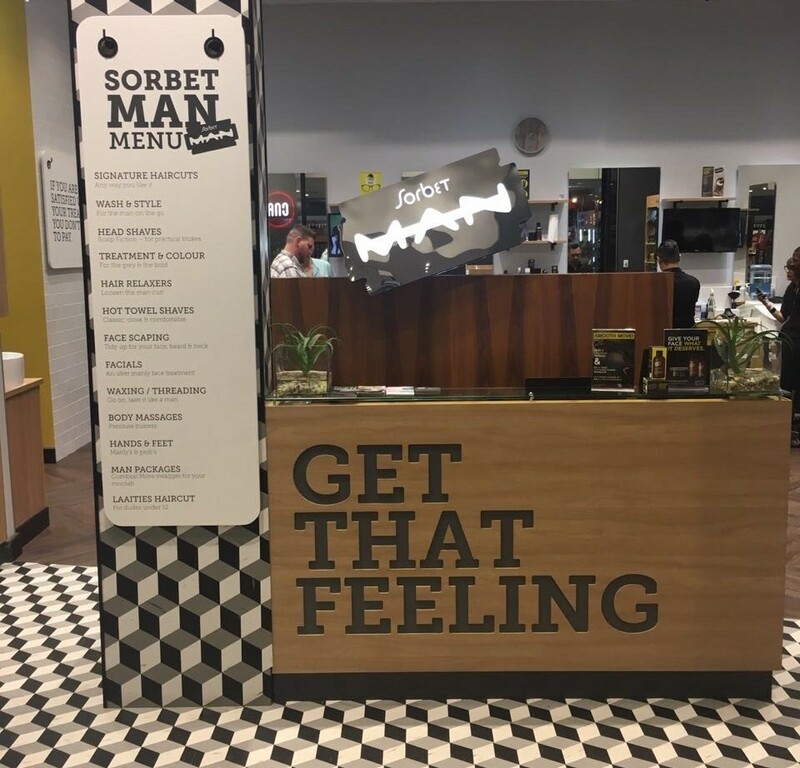 I would go to Sorbet Man, again and again, just for that! I didn’t want it to end, it was so soothing. With a Dermalogica – ProSkin 30® facial still on the cards I filled out a questionnaire on my skin to make sure all the products were suited to me, personally. If I told you I knew exactly what happened I’d be lying. Lungi did all sorts of treatments and put a bunch of creams on my face. She did explain each step but I was just relaxing and enjoying the experience. I did pay more attention when she explain the array of Dermalogica samples that you get after. My skin felt plumb and revitalised all day, not something I thought I’d ever say, but a great feeling. Sorbet Man offers a huge variety of other treatments & services (see here). I had been so stressed of late and battled to fit my Sorbet Man booking into my busy schedule. Sometimes you just have to make time and I’m so glad that I finally did. The feeling of just escaping your busy life to take some time for yourself is amazing, and s0 important for your headspace. Give yourself a break, treat yo self.